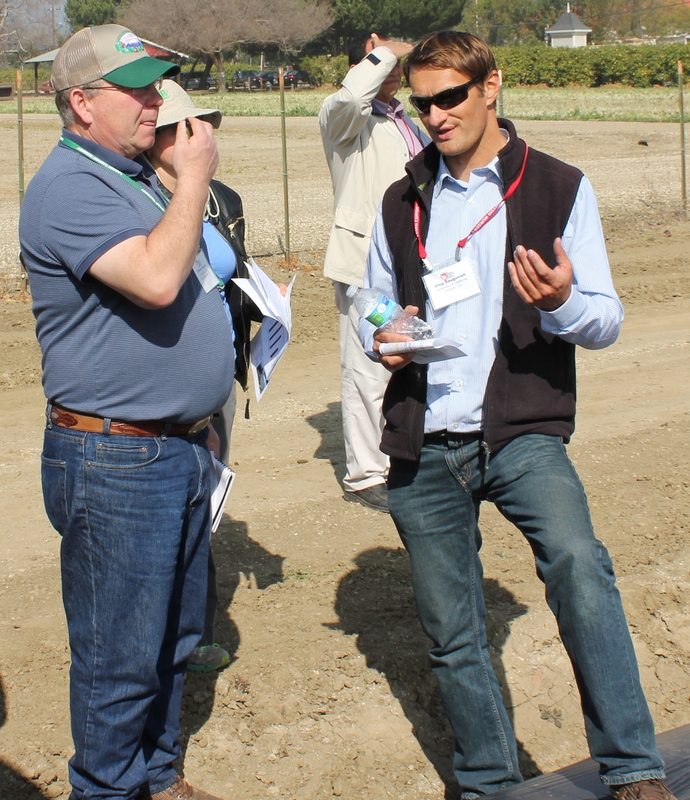 California, a leader in strawberry production, hosted the North American Strawberry Growers Association Conference and Symposium this year. 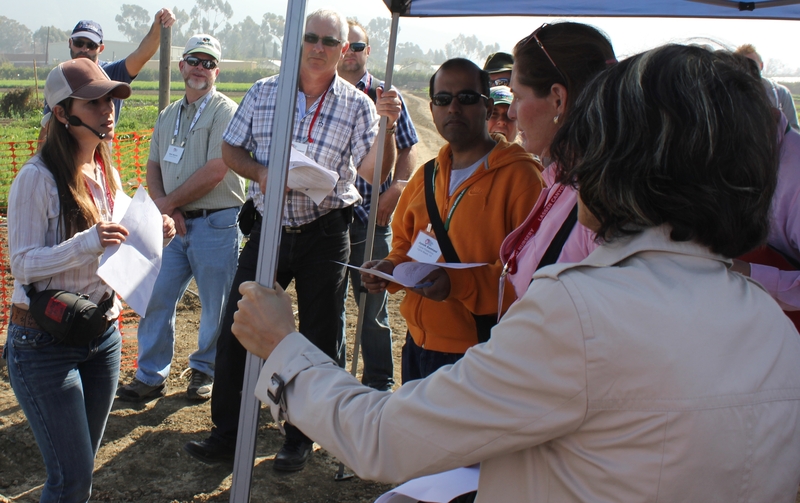 Over 20 countries as farway as Egypt, Canada, Spain, France, Italy, United Kingdom, and France sent representatives to the three-day event right here in Ventura County. Over 400 farmers were invited to HAREC on the last day of the conference to see what we do and hear presentations from UCCE-Ventura Advisors. 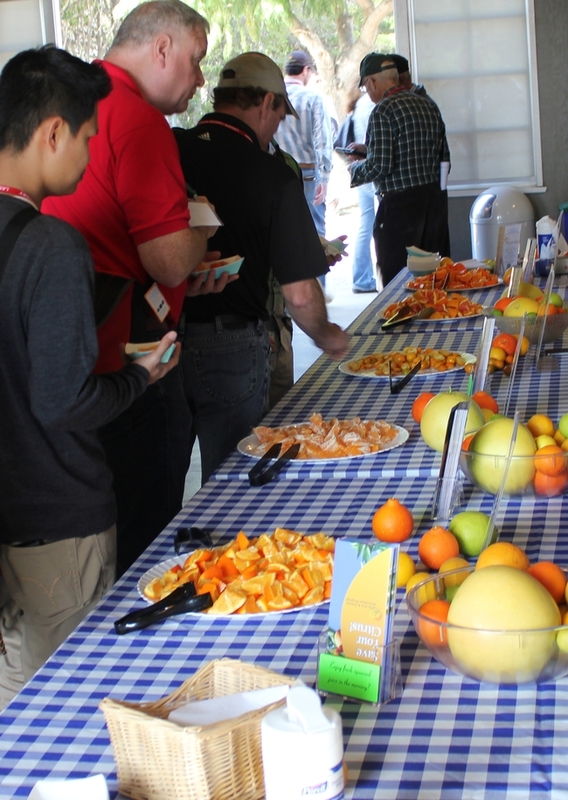 Oleg Daugovish, Strawberry Advisor, helped organize the research event and presented results from his ongoing Anaerobic Soil disinfestation (ASD), a technology he has investigated since 2009. Anna Howell, Staff Research Associate and Entemologist reported on her project, efficacy of a new miticide against twospotted and Lewis spider mites and how miticides may affect the beneficial predatory mite Phytoseiuluspersimilis. Advisor Ben Faber highlighted the on-site orchard and subtropical varieties. Master Gardeners were on hand to help with sampling of strawberry and citrus varieties grown at the Center. 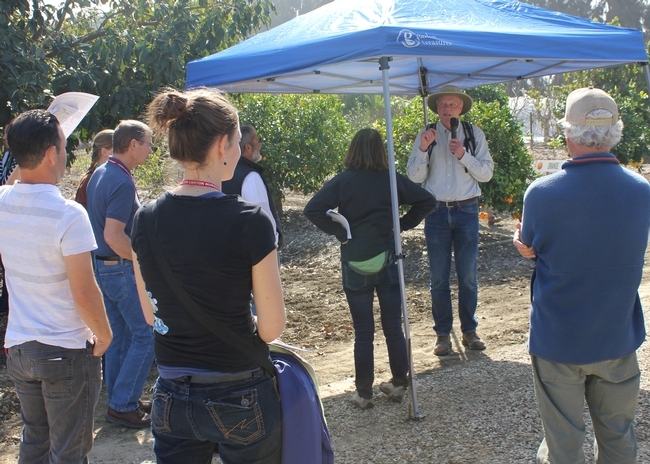 Following a hearty lunch and networking opportunity, farmers enjoyed a tour of various Ventura County strawberry farms. 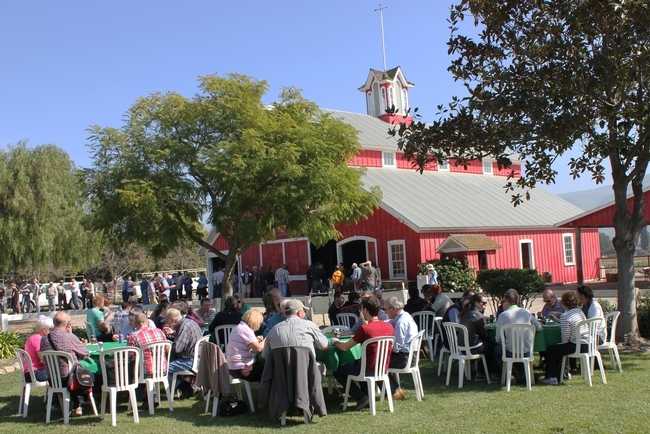 Insight to tour discussions is highlighted in a Ventura County Star article. Special thanks to the Master Gardeners supporting this exciting and fun educational experience.